What will Washington do against Iran? The US Ambassador to the United Nations Nicky Healy said “If Russia continues to cover up Iran, and if the Security Council does not announce an action, the United States and our allies will take an action themselves” This occurred after the voting on the western –Arab draft resolution for condemning Iran for arming Ansar Allah in Yemen especially with the ballistic missiles that targeted Saudi Arabia. Therefore the question becomes what will Washington do under the title “if we do not get an action from the Security Council we will take our own actions”? The American option is restricted between two things; politically, it is represented by announcing the cancellation of the American commitment to the nuclear agreement with Iran and the return to the system of sanctions which applied before, and which will affect the Iranian Central Bank and the international banks which deal with it, especially the European and the Chinese ones. Militarily, it is represented by adopting the comprehensive or the temporal military option which might turn under an uncontrolled moment into a comprehensive confrontation or both of them. But it is certain that the bet on a diplomatic and popular crowd, media mobilization, and sanctions system that does not affect the nuclear agreement is considered less than a threat launched by Healy and showed her silly and her words trivial. Concerning the nuclear option, it seems clear that Washington’s problem is not with Iran rather with China and Europe, which stick to the agreement, and which refuse the sanctions system related to the cancellation of the agreement and which their companies will pay the cost for the returning to it, while Russia stands with Iran under the title that the cancellation of the agreement means that Iran has the right to return to enrich uranium from where it signed its agreement, so those who announced their sticking to the agreement must not address Iran rationally, but they have to do one of two things. Either to prevent Washington from the cancellation or to refuse the commitment to its sanctions no matter what the consequences will be on the European and Chinese banks. So is it possible after Washington has evaded from the cancellation twice to do it now and to enter an unpredictable financial war and which its repercussions may affect the financial status of America negatively in a way that surpasses the crisis with Iran? Regarding the military option, nothing has changed in favor of Washington for years, so it disregarded it. The US forces and interests which are distributed among Iraq, Syria, the Gulf, and the sea waters and the water ways will turn into targets by Iran and its allies. The results of the military action as the former US Secretary of State John Kerry said have no guarantees to achieve decisive results whatever the harm is, because Iran may accelerate to produce a nuclear bomb, as the former US President Barack Obama said on the eve of signing the nuclear agreement in response to the Arab and the Israeli calls, revealed by Kerry from Munich platform for security days ago. Dennis Ross, the former US diplomat to the occupation entity, the US peace envoy for years, and a researcher who lived through several epochs in the US studies centers said in his article two months ago that the dual response to two important questions about the American policy towards supporting the Kurds in Syria till the end, and towards the confrontation of Iran is shown in how Washington behaved with the collapse of the dream of secession of the Kurds of Iraq under the blows of Iran and under the eyes of the US leadership in the White House and Pentagon without reacting, while the Kurdish entity was the most important opportunity for America to work against Iran, and the most important sign of the seriousness of supporting the independence of Kurds. Those who abandoned the Kurdish entity in Iraq because they did not want to get involved in a war, will not do the same in Syria, and those who missed the opportunity of being so close to Iran as the chief of staff in the occupation army Gadi Eizenkot said will not go farer than the political words and escalation. Does that mean that Healy’s words are trivial and she is silly? «إذا كانت روسيا ستواصل التستر على إيران، فسوف تكون الولايات المتحدة وحلفاؤنا بحاجة إلى اتخاذ إجراء من تلقاء أنفسنا. إذا لم نحصل على إجراء في المجلس فسوف يتعيّن علينا عندئذ اتخاذ إجراءاتنا». – ينحصر الخيار الأميركي بين اثنين، سياسي من العيار الثقيل يتمثل بإعلان إلغاء الالتزام الأميركي بالاتفاق النووي مع إيران والعودة إلى نظام العقوبات الذي كان سائداً قبل الاتفاق ويطال المصرف المركزي الإيراني والمصارف العالمية التي تتعامل معه، خصوصاً الأوروبية والصينية، أو الذهاب للخيار العسكري الشامل أو الموضعي، والذي يمكن أن يتحوّل في لحظة غير مسيطر عليها مواجهة شاملة، أو كليهما معاً، لكن الأكيد أنّ الرهان على حشد سياسي ودبلوماسي وتعبئة إعلامية ونظام عقوبات لا يمسّ الاتفاق النووي هو دون مستوى التهديد الذي أطلقته هيلي ويجعل كلامها تافهاً ويظهرها سخيفة. – في الخيار العسكري لم يتغيّر شيء لصالح واشنطن منذ سنوات، وما دفعها ويدفعها لصرف النظر عن هذا الخيار يزداد ولا ينقص. فالقوات والمصالح الأميركية الموزّعة بين العراق وسورية والخليج ومياه البحار والممرات المائية ستتحوّل أهدافاً سهلة لإيران وحلفائها، ونتائج العمل العسكري كما قال وزير الخارجية الأميركي السابق جون كيري ليس فيه ضمانات تحقيق نتائج حاسمة، مهما بلغت قدرته على إلحاق الأذى، خصوصاً لجهة ما قد يدفع إيران لتسريع إنتاج قنبلة نووية، كما سبق للرئيس الأميركي السابق باراك أوباما أن قال غداة توقيع الاتفاق النووي رداً على الدعوات العربية والإسرائيلية التي كشفها كيري من منبر ميونيخ للأمن قبل أيام. – في مقال له قبل شهرين قال دنيس روس، أحد الدبلوماسيين السابقين الأميركيين لدى كيان الاحتلال والمبعوث الأميركي للسلام لسنوات، والباحث المخضرم في مراكز الدراسات الأميركية، إنّ الجواب المزدوج على سؤالين مهمّين حول السياسة الأميركية، تجاه دعم الأكراد في سورية حتى النهاية، وتجاه مواجهة إيران حتى النهاية، نجده في كيفية تصرف واشنطن مع انهيار حلم أكراد العراق بالانفصال تحت ضربات إيران، وتحت أعين القيادة الأميركية في البيت الأبيض والبنتاغون، وهم يتفرّجون، بينما كان الكيان الكردي أهمّ فرصة لأميركا للعمل ضدّ إيران وأهمّ علامة على جدية دعم استقلال الأكراد، ومَن تخلَّ عن كيان كردي في العراق لأنه لا يريد الحرب، فلن يفعل ذلك في سورية. ومن أضاع فرصة التقرب إلى مسافة صفر من إيران، كما يقول رئيس الأركان في جيش الاحتلال غادي أيزنكوت، لن يذهب إلى أبعد من الكلام والتصعيد السياسي. Will Northern Syria cooperate with Damascus, or not? This is the key to Syrian peace and territorial unity. It’s also the question which will make or break claims that a Northern Syrian enclave which refuses to help expel uninvited Americans can somehow be a “leftist project”. No question can be answered, however, until I clarify some key facts about Northern Syria. Indeed, reporting about Northern Syria in the West is rife with the most fundamental errors, and the most egregiously false claims. Firstly, the Kurds in Syria have only ever asked for autonomy, not independence. People assume all Kurds are like Iraqi Kurds – separatists – but the Kurds in Syria want to stay within the Syrian state. This disavowal of independence is an undisputed, long-standing (if underreported) fact. Indeed, the arrival of pro-government forces in Afrin was met with celebrations – the “Arab Socialist Baath Party” is a nationalist one, it seems to have been forgotten. The fact that such celebrations could possibly raise some eyebrows only shows how terrible the West’s mainstream reporting is in Syria. The second most important point is this: “Rojava”, “Syrian Kurdistan”, “Northern Syria” or the “Democratic Federation of Northern Syria” – whatever it is called – is among the most interesting (and newest) leftist projects in the world today. For that reason alone, nobody is reporting on it honestly. After all, the Western mainstream media has no governmental or private mandate to support the 99%…much less in a Muslim country…still less in an anti-Zionist country like Syria! Rojava’s governmental culture is based around ethnic equality, collective unity, local emancipation and undoubtedly socialist-and-not-capitalist inspired democratic & economic ideals. Therefore…the capitalist-imperialist West totally ignores all of that and solely focuses on identity politics: thus, it’s always reported as just “the Kurds”. That leads to the third important issue: foolishly lumping all the Kurds across Southwest Asia together, thereby assuming that there are no regional differences: For Western media it is as if Kurds walk around all day in a special “Kurdish daze”, so enamored with being Kurdish that the countries and local neighborhoods where they live have absolutely no effect on them or their worldview. Their “Kurdishness” is all-consuming, it seems! The theory underpinning this is identity politics: if you are Kurdish, then you must all think alike. So it makes no difference if you grew up/lived in Saddam’s Iraq, modern Iran, Baathist Syria, or Istanbul: You are a Kurd and – as a Kurd – you can only possibly see things via the lens of your Kurdishness. But only the West proffers this absurd, one-dimensional view of the Kurds – not the Middle Easterners who live alongside them. A fourth problem – an even larger one for those in Syria – is that the Kurds in Syria are not even “Kurds”! What I mean is: Kurds are around ½ of the population of Northern Syria, but only compose around 1/3rd in some of the biggest areas of Rojava, such as Membij. There are Assyrians and Chaldeans – they are Christian. There are Sunni Arabs. There are Turkmen, who are not allied to Turkey and are Syrian patriots despite their name. There are Circassians, Armenians, Yazidis, Chechens and others. Hard as it is for non-Muslims to believe: All these people like each other, live & work together, intermarry and have done so for more than a millennia. You cannot even say that all the fighters in this area are Kurds, either, because the Syrian Democratic Forces forces – who helped rout ISIL – are majority non-Kurd. But they are all Syrian – and they want it to stay that way. This IS the case…even though Kurds in Iraq aimed for independence…and despite the Western anti-Assad propaganda. Clearly, a major overhaul on the idea of “Kurd” is needed for many…. Anyone can have a bad century and finish as winners…look at the Chicago Cubs. So in Northern Syria the “Kurds” are not even Kurdish nearly half the time, LOL, but let’s be like the West and look at the “Kurds” across their 4 main nations. If we accept that “Kurdishness” is not all-consuming , we can see how the experiences of “Kurds” in Iraq (which also compose Assyrians, Chaldeans, Turkmen, etc.) 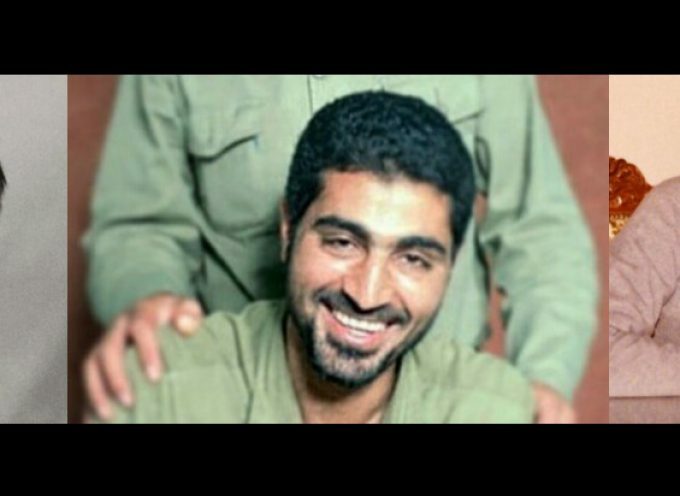 – who lived under Saddam Hussein’s wars, were massacred by the anti-Iranian MKO homicidal cult, lived in a country forced to endure material shortages caused by US sanctions from 1990-2003, and who are enduring US invasion and occupation – are fundamentally different than the experiences of “Kurds” in Syria…where these things did not happen. The experience of “Kurds” in Syria – which is bordered by the menacing, illegitimate state of Israel, which had a different political conception & practice of Baathism than Iraq (which provoked more enmity than cooperation between the two since 1966), which was invaded not by a “coalition of the willing” but radical terrorists, which is on the cusp of benefitting from the extraordinary national unity which can only be created by victoriously defeating foreign invaders – are fundamentally different than the experiences of “Kurds” in Iraq. “Kurdishness” in Turkey is an vastly larger issue than Syria, because there are vastly more of them than in anywhere else. “Kurdishness” in Iran is totally different than in any of the four primary Kurdish countries: they are more accepted there than any other country. This is a result of the acceptance promoted by Iran’s modern, popular revolution of 1979 (by definition, you can’t have a “modern, popular revolution” based on racism/ethnic superiority). Indeed, Iran’s definitive cultural “female Iran-Iraq war experience” was the best-selling, award-winning story told by a Kurdish immigrant from Iraq to Iran – in the book“Da”, which means “mother” (not in Farsi). Such a thing could never happen in Turkey, obviously, nor Arab nationalist Syria and Iraq. This modern acceptance is why Iran is the only nation of the four where there is no chance of fomenting a Kurdish uprising in Iran: being Iranian and Kurdish is not any sort of contradiction – they are incorporated in the national self-conception about as much as any numeric minority can reasonably be, as the success of “Da” illustrates. And for this reason – which is called (Iranian Islamic socialist) “modern democracy” – there is no chance of any sort of a “Kurdish uprising” in Iran. Even amid this ongoing historical era of Kurdish militancy across the entire region, the PJAK Party (Iranian Kurdish separatists) gave up armed operations in Iran in 2011: it’s useless – Iran is different, and on the Kurdish question as well. Israel could spend a zillion usuriously-gained dollars on such a project and it would get nowhere…which is why they spend their time in the southeast (in Baluchestan with Jundallah). And, to repeat, because this is so important: The people of Northern Syria have never, ever said they want anything but autonomy within Syria. This proves that Syrian “Kurds” are not Iraqi “Kurds”, where Barzani and their bid for independence have been neutralised…much to the dismay of the US & Israel. Only by ignoring these realities can one assume the “Kurds” of both regions share the same political outlook in February 2018. So, I hope we are bit less konfused on who the “Kurds” really are. Now, because of the leftist nature of northern Syria, we must de-konfuse our notions of their political ideology. But I’m going to postpone that to part two – let’s talk immediate politics. It was with great alarm that greeted the recent US declaration that they will keep 2,000 troops in Northern Syria – that news turned off many to the possibility that northern Syria could possibly be leftist. And rightly so, but Washington’s plans are simply their desire – there has been no official political deal: Rojavan leaders insist their cooperation with the US is strictly military to fight ISIL. Indeed, they have grown up in Syria, which has been attacked by Israel…but now they are going to be allies? Certainly, the downfall of Barzani in Iraq is a blow to US/Israeli imperialism – so…of course they are refocusing to Northern Syria. But that doesn’t mean they will get what they want! Certainly, Northern Syria cannot allow a military base inside its borders. There can be no “Syrian Guantanamo” to permanently menace a newly-liberated Syria, like in Cuba. Let’s keep a couple war realities in mind: It’s not as if Northern Syrians could have stopped the US from planting soldiers and using an airstrip – there has been a huge war, after all, with a well-heeled army called ISIL to stop. The invasion by Turkey means Northern Syrians have now reached the point of no return: to work with Turkey (and thus the US) is to betray the Syrian people which Rojavans have always claimed to want to be. Therefore, Syria is on the verge of peace and total victory…or major civil war: It will be decided by inter-Syrian diplomacy. Negotiations have been ongoing between the two areas for years, of course, and they are no doubt in overdrive right now. Damascus has always rejected the idea of a federated state and autonomy for Northern Syria. Northern Syria has held their ground militarily, and Damascus has been too occupied with ISIL to demand cooperation…but it’s February 2018, and here we are. So what will Damascus do, and what will Rojava do? Rojavans may view siding with Damascus as a risk regarding the re-installation of some Arab Nationalist policies they dislike (Rojava has 3 official languages for a reason, for example)…but siding with the Americans is a guarantee of leftist betrayal, a guarantee of a failure and a guarantee of regional bloodshed for decades. Maybe Rojava can expel ISIL on their own, but they cannot expel the US and Turkey without Damascus…and they must be expelled. How can these troops stay if Damascus and Rojavans cooperate? They cannot, whatever the Pentagon wants. Therefore, at some point – a point quite soon – Rojavans will need to openly embrace Damascus, in the name of Syrian unity and in the realization of issues larger than their own interests and sacrifices. On the other side, there is nothing stopping Damascus from making concessions to win over Rojava…and yet, one easily sees the government’s hesitance: Making major changes to Syria’s political structure seems to require the democratic approval of the entire nation via vote. The granting of wholesale structural changes for one-third of the country during wartime appears to lack democratic legitimacy. Rojava is where most of Syria’s oil is located. Certainly, those funds cannot be made the complete “autonomous” property of Rojavans. One easily sees how “granting autonomy” is a major question that goes beyond just the decades-long elevation of Arab culture over the culture of Turkmen, Chaldeans, Kurds, etc.…. Of course, it should not be surprising that Assad’s view of Rojava never gets an airing…but given Rojava’s leftist bonafides, nobody ever talks about them at all either. “Keep ‘em konfused with just ‘Kurds’” is the media line…. To sum up my view of the immediate political situation: Unity requires faith – Northern Syrians need to trust their fellow citizens that their success has earned them good faith credit in Syria’s common future. And, finally, what choice does Rojava have? Turkey will never accept them (this is the pretext for their invasion), nor Damascus, nor Iraq. The only ones who will are the US and Israel…and that is leftist?!?! No…this is why I predict a reconciliation. The failure of Syrian-Syrian diplomacy at this juncture is…civil war. And who wants that in Syria? In an upcoming second article I will examine what is the “leftist ideology” of Rojava, and how these ideas might interact with Arab Socialist Baathism in a unified, free, victorious state of Syria. Syrian forces came to defend Afrin, but no deal with Damascus: YPG spox. 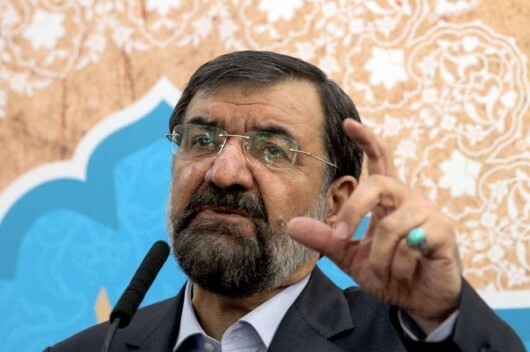 Secretary of Iran’s Expediency Council, Mohsen Rezaei revealed on Saturday details of what he called latest events “scenario”, noting that the unrest which the Islamic Republic had witnessed last week was plotted by the United States in Kurdistan’s Erbil. “The scenario designed by MKO members, monarchists, and US put into practice in Iran in recent days was plotted months earlier in Erbil of Iraq,” said Rezaei, referring to Mojahedin-e-Khalq Organization, branded as a terrorist organization in Iran. 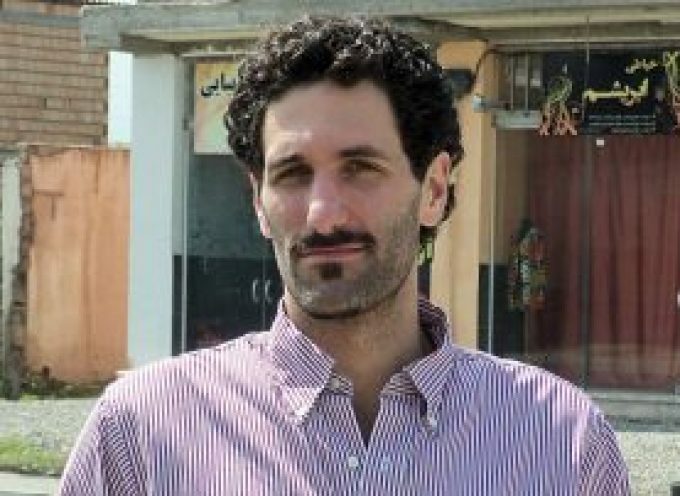 “Some months ago the CIA head of Special Activities Division (SAD), held a meeting in Erbil with the Chief of staff of (former Iraqi dictator) Saddam Hussein’s son, Qusay, Saddam’s brother-in-law, Barzanis’ representative, MKO representatives, and Saudi Arabian agents,” the Iranian official raid in remarks carried by Mehr News Agency. “In this meeting, the date and time for the operation was defined,” he added, “it was agreed to start in late December, using the cyber space, and to follow the scenario of toppling the establishment in January and February, with operation codenamed as ‘the Strategy of Resultive Convergence’,” Rezaei added. “They imagined they could usurp the control of all cities from the appointed officials to get to the second phase and import weapons into Iran to kill some civilians and then in the next phase US would table new anti-Iran sanctions in the UNSC through human rights committee to ease the way for entrance of MKO members,” he said, according to Mehr. لا شك في أنّ شخصاً جاهلا كالرئيس الأميركي ترامب لا يتقن لعبة الشطرنج. ولا شك في أنه، وبسبب جهله هذا لم يخطر بباله أنّ الإيرانيين هم ملوك هذه اللعبة التي تحتاج إلى عقل استراتيجي عميق في التفكير والتخطيط وتوزيع القوى واستخدامها حسب متطلبات الميدان. ومرة أخرى وبسبب جهله هذا، قام ترامب بتحريك الملك، أي ورقته الأخيرة في الصراع الدولي الدائر على إنهاء سيطرة القطب الواحد، الولايات المتحدة الأميركية، على العالم، قام بتحريك الملك الى داخل الميدان الذي يتمتع به «العدو» أو الخصم، ألا وهو إيران، بسيطرة مطلقة على الميدان. وهي خطوة قاتلة في لعبة الشطرنج التي قد يكون ترامب بالكاد قد سمع بها. إنّ تحريك الملك الى ميدان تكون فيه سيطرة «العدو» مطلقة على الميدان لا يمكن أن تعني إلا مقتل الملك وخسارة الميدان. وهذا بالضبط ما حصل مع ترامب الجاهل عندما أصدر أمر عملياته بتحريك أذناب أميركا، من بعض الإيرانيين الذين ركبوا موجة تحرك شعبي مطلبي تقرّ الحكومة الإيرانية نفسها بمشروعيته وعملت ولا زالت تعمل على تلبية مطالبه، والى جانبهم مجموعة من مجرمي الحرب الصهاينة وعلى رأسهم نتن ياهو وأعراب الجزيرة الذين يتقدّمهم مجرم الحرب الأكبر محمد بن سلمان، كما الذيل المسعور مسعود البرزاني الذي سمح لأجهزة الاستخبارات الصهيوأميركية باستباحة المحافظات العراقية الشمالية وتحويلها مراكز تجسّس وتخريب ضدّ الجمهورية الإسلامية في إيران والسماح باستخدام أراضي تلك المحافظات كمنصة لإطلاق بقايا فلول داعش لتعيث فساداً وقتلاً في إيران، كما حدث يوم أمس في بلدة پيرانشهر. نقول إنّ ما حصل مع ترامب بعد إصداره أمر العمليات المشار إليه أعلاه قد خسر آخر ورقة استراتيجية في يده والتي كان يتوهّم بأنّها ستنجح في قصم ظهر العمود الفقري لمحور المقاومة، أيّ الجمهورية الإسلامية في إيران، ذلك المحور الذي أذاقه سلسلة من الهزائم على الصعيد الإقليمي، بدءاً من إفشال الفتنة الداخلية في لبنان بعد اغتيال الرئيس رفيق الحريري عام 2005. حيث عاود مرة أخرى عبر قاعدته العسكرية المتقدّمة في العالم العربي، ايّ الكيان الصهيوني عام 2006 بشنّ حرب تدميرية على لبنان بحجة ضرب حزب الله. ولكن هزيمة الجيش «الاسرائيلي» المذلّة يومها أمام حزب الله جعلت السيد الأميركي يتّجه الى محاولة جديده لتحقيق مشروعه للسيطرة على «الشرق الأوسط» والذي أطلق عليه حينذاك اسم مشروع «الشرق الأوسط الجديد». ولتحقيق الهدف نفسه بعد فشله مجدّداً جدّد الكرة بفتح المعركة الاستراتيجية ضدّ حلف المقاومة والتي شملت رقعتها، ومنذ العام 2011، كلاً من سورية ومصر، عبر ضخ التكفيريين إلى سيناء وإشعال الوضع فيها، والعراق واليمن، متذرّعاً بقيام طلائع الشعب اليمني أيّ أنصار الله بالانخراط في حلف المقاومة وتوجيه كلّ إمكانيات تلك الحركة الطليعية الى المعركة ضدّ المحتل الصهيوني في فلسطين، الأمر الذي جعله يحث حكام مملكة آل سعود لشنّ حرب مدمّرة عليه منذ ما يزيد على الألف يوم من دون أن يتمكن من إخضاع الشعب اليمني أو كسر إرادته، ولما عجز أمام تلك المهمة لجأ الى وسيلة جديده محاولاً توجيه ضربة لحلف المقاومة، وذلك عندما قام محمد بن سلمان باحتجاز رئيس الوزراء اللبناني وإجباره على قراءة بيان استقالته وشنّ هجوم لاذع ضدّ إيران وحزب الله في محاولة لتفجير لبنان وجرّ حزب الله الى حرب أهلية. لكن صلابة محور المقاومة وإدارته المنقطعة النظير لمعركة التصدّي للعدوان على دول وأحزاب هذا المحور والدور الفعّال لروسيا الصديقه كانت هي العوامل التي ألحقت الهزائم الكبرى بالمشروع الأميركي وتعزيز وترسيخ دور المقاومة وإحداث انقلاب استراتيجي في موازين القوى الدولية. أيّ أنّ دحر المشروع الأميركي للهيمنة قد خلق الظروف الملائمة لعودة روسيا الصديقة بقوة كبيرة الى المسرح السياسي والعسكري الدوليين وبروز ما يشبه التحالف الضمني بينها وبين جمهورية الصين الشعبية. وهو ما يعني النهاية الفعلية لسيطرة القطب الواحد، أي الولايات المتحدة، على مقدّرات العالم وخيراته. وهذا بالضبط ما دفع الجاهل ترامب إلى ارتكاب حماقته الجديدة بمحاولة العبث بالشأن الداخلي الإيراني متوخياً ضرب الدولة الإيرانية وتدميرها وتحقيق هلوسات ملك آل سعود السابق عبد الله بن عبد العزيز الذي اشتهر عنه أنه دعا الأميركيين يوماً الى «ضرب رأس الأفعى» وكان يعني بذلك إيران طبعاً. والهدف دائماً الحفاظ على أمن قاعدتهم العسكرية المتقدّمة في فلسطين المحتلة. كما أنّ الهدف المهمّ الآخر من وراء هذه الحماقة يتمثل في الرغبة في السيطرة على إيران وتحويلها حاملة طائرات ثابتة على الحدود الجنوبية لروسيا الاتحادية وعلى الحدود الغربية للصين وذلك في إطار عمليات الحشد الاستراتيجي الطويل المدى ضدّ روسيا والصين. ولكن «غزوة» الداعشي الأول دوّنالد ترامب، قد كُسرت قبل أن تبدأ، وذلك لأسباب عديدة كان من أهمّها الإدارة الحكيمة والمرنة لهذه الأزمة من قبل المرشد الأعلى للثورة الإسلامية كما من قبل الحكومة الإيرانية ومسؤولي الأجهزة الامنية ذات الاختصاص، والتفاف الشعب الإيراني العظيم حول الثورة الإسلامية ومبادئها، الأمر الذي أدّى وبسرعة فائقة الى عزل عناصر المرتزقة الدواعش وغيرهم من المسمّيات والذين تمّ تسريبهم الى بعض المناطق الإيرانية بمساعدة غرف العمليات الأميركية/ «الإسرائيلية»/ السعودية في كلّ من أربيل والرياض وغرفة عمليات الحرب النفسية في تل أبيب. ولكن أحد كبار جنرالات «سي أي آي» المتقاعدين والذي يُعرف عنه بأنه مسؤول الملف الإيراني الحالي في الوكالة، مايكل دي أندريا، شكّك في أنّ الأخير لديه القناعة بمقدرة الولايات المتحدة على تغيير النظام في إيران، رغم أنه وضع الخطط اللازمة أَي دي أندريا لتصعيد الوضع في إيران وصولاً الى الاشتباكات العسكرية واسعة النطاق بين فلول داعش المحتشدين في حفر الباطن السعودية وفِي قواعد بيشمرغة مسعود البرزاني والذين سيتمّ تسريبهم الى الداخل الإيراني بتمويل سعودي يقدّمه محمد بن سلمان. أيّ تكرار السيناريو السوري تماماً وخلق الظروف «والمسوّغات» لتدخل أميركي عسكري في إيران بهدف إسقاط نظام الجمهورية الإسلامية وإعادة إيران الى حظيرة الطاعة الأميركية، وهذا ما أفشله وعي الشعب الإيراني وحكمة القيادة الإيرانية. إنّ هزيمة مشروعكم في طهران سوف تشكل قوة دفع إضافية لحلف المقاومة لمواصلة تطهير أرض العراق وسورية من خلايا داعش النائمة والتي تقومون بإمدادها بوسائل البقاء من مال وسلاح. كما أنها ستشمل الأرضيّة لاستكمال هجوم حلف المقاومة الاستراتيجي والذي لن يقتصر على تحرير الجليل فقط، وإنما سيكون هدفه الوصول الى القدس وتحريرها كما صرّح بذلك الأمين العام لحزب الله في مقابلته مع فضائية «الميادين» مساء الأربعاء الفائت، حيث لن يبقى لدى سيد البيت الأبيض لا ملوكاً ولا عبيداً من الأعراب المتصهينين يستطيع استخدامهم في نسج المؤامرات ضدّ حلف المقاومة منعاً لتحرير فلسطين. وكفى الله إيران القتال بفضل قيادتها الفطنة والثاقبة النظر والتي قرأت ترامب حتى قبل تصدّره سدة الحكم، وها هي تستدرجه إلى داخل القلعة لتقول له كش ملك. » فلسطين تنتصر لإيران ولا وقع للأصوات النشاز! » ضباط استخبارات أميركيون يحذّرون ترامب من عدائه لإيران!